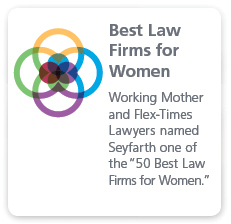 Seyfarth’s Real Estate Leasing team includes more than 50 attorneys focused on adding value for both landlords and tenants, and helping them address the complex issues facing sophisticated space users and property owners. Our team has handled more than 400 million square feet of leasing transactions over the last decade for many of the largest owners and developers of office buildings, shopping centers, and industrial parks in the country, as well as national big-box retailers, convenience stores, office tenants, restaurant chains, and property managers. Our clients benefit from our thorough understanding of all sides of the lease negotiation process. We have negotiated leases of all sizes, including “blend and extend” transactions, complex subleases and assignments, and we are experienced working with collateral documents such as reciprocal easement agreements, declarations of covenants, conditions, and restrictions involving a variety of spaces, including existing and planned developments, built-to-suits, and unimproved land. The team regularly provides clients with leasing updates and market trends, from the latest ADA regulations and common area expense issues to hours of operation and exclusive uses. One area of specialization that sets us apart is our market-leading, innovative approach to high-volume leasing programs for clients undertaking large-scale development projects or retail rollouts. Over the last decade, represented one of the nation’s largest home improvement retailers in nearly 1,000 transactions, and millions of square feet, involving the acquisition, ground leasing, development, and financing of retail stores and distribution facilities across the U.S.
Seyfarth’s Real Estate attorneys deliver legal services with a business-oriented approach. 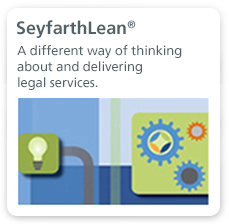 A large part of what differentiates Seyfarth from its competitors centers around the firm’s distinctive client service model - SeyfarthLean® - which combines process, people and technology to drive value to our clients. 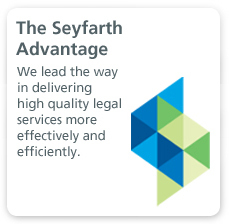 SeyfarthLean creates tangible results, including more consistent, high quality legal services, increased efficiency, improved communication and collaboration, right-sized staffing approaches, transparent pricing, and reduction in overall cost of services. For more information about SeyfarthLean, click here. 5/16/2019 Ronald Gart and James O'Brien to Present Lorman Webinar "Subordination, Non-Disturbance and Attornment Agreements in Commercial Leasing and Real Estate Finance"